Looking for your next great space adventure? Rhett C. Bruno made me a fan with his first novel, Titanborn. He has a way of creating complex, flawed characters who I always end up rooting for. That's a great talent. I enjoy every adventure he takes me on, and The Circuit was no exception. Like all good science fiction, this story makes one think about oneself and humanity in general. I always hope I'd rise to the challenge as the characters do to overcome obstacles and make our humanity better. That's what I love about space opera, the discovery inside and out. You can get the series here: http://rhettbruno.com/the-complete-circuit-trilogy/ Also find out more about Rhett and his other books. One of the fun things about writing my characters is that they say the darndest things. I almost wrote that I can make them say anything I want, but that’s not strictly true. The story-line must fit their character, or they’d never let me get away with putting words in their mouths. They really do have minds of their own, especially my secondary character Franny! First, a little about Franny. The sleuthing sidekick of reluctant ghost-whisperer, Indigo Eady, Franny Bishop also happens to be the ghost of a former Victorian madam of some repute. Walking with a foot in both worlds, she’s still “living” the high life in modern day Sabrina Shores. The old English market town is a haven for the dearly departed, and Franny leads quite the active afterlife. Indigo is not far off when she says that Franny exists in the modern world better than she does. Existing as she does, Franny has become quite the unintentional logophile—a lover of words. And except for a few instances which you’ll see further down, she’s quite the colorful speaker. Blast a Spaniard = Dang it! And then there’s the telly. How many ghosties do you know who watch television? Franny does. She is addicted to late-night black and white crime shows, featuring tough-guy private dicks such as Mike Hammer, Sam Spade—and even Charlie Chan. Rob stood—if you counted stooping at the waist as standing, and I did. Franny lifted her skirts and floated around him tsking at his rumpled condition. Rob raised his pant leg to assess the damage and Franny stopped and bent to check out his knee. “A bit of a lump, but all in all, a nice gam, don’t you think, Indigo? Placed higher and you’d have made a clean getaway. You’re out of practice, dear.” She shook her head. “Pshaw,” she snorted, in a most unladylike manner. “If an event or anniversary woke him from the ether, he might only now be coming out,” Franny said. I snorted. Franny’s interpretation of modern slang tickled my funny bone. We’d recently discussed gay people ‘coming out’ after my break-up with Francois. I never expected to hear the term used in connection to a haunting. I laughed again. “You mean newbie.” As in newly departed. “...Do I look warm?” She patted her ebony hair. Her teal skirts flared from a waist so tiny that Barbie would be green with envy, and her bright white gossamer blouse hugged her ample bosom in flawless perfection. “You mean down the road…” I corrected Franny automatically. I love Franny’s character. She makes me laugh all the time. I hope you enjoyed learning about her as well. Is Franny a true logophile? She jumps on the first job offered. All she has to do is work undercover at Sabrina Shores Theatre, find a ghost thief, and cross him over. Easy peasy, right? Until an actor is murdered and Indigo’s fingerprints are all over the pistol like ink on a Rorschach test. 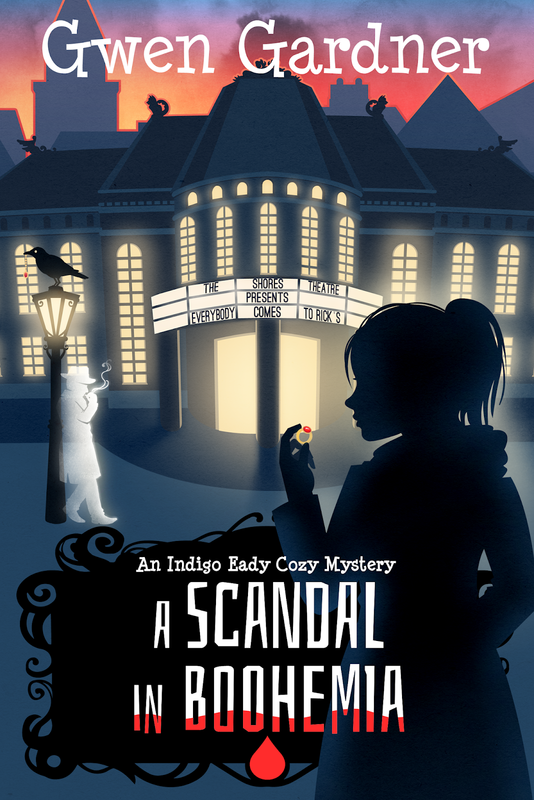 Forced to dust off her rusty sleuthing skills to clear herself, Indigo enlists the help of her ghost friend Franny and her hunky ex-boyfriend Badger to help solve the crime. Now, how to keep her investigation from the handsome inspector? Indigo Eady is a reluctant ghost whisperer, but she’s grown quite attached to Franny Bishop, a former Victorian ghost madam of some repute. Franny’s afterlife makes Indigo’s life look like she has one foot in the grave. Much to Indigo’s chagrin, Franny is determined to find her a man. After all, there are plenty of handsome men around ripe for the picking, and Franny’s an expert. 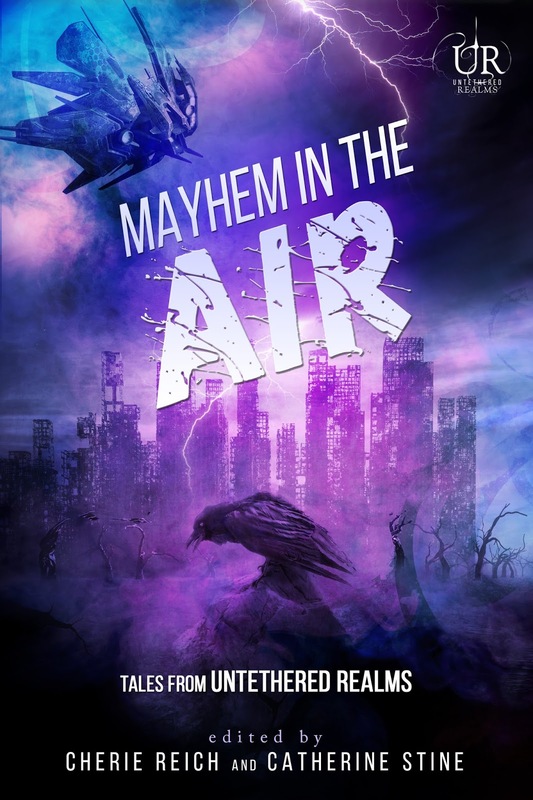 In the meantime, Indigo and Franny have murders to solve. Celebrating the 50th anniversary of this masterpiece! Blurb: Slaughterhouse-Five, an American classic, is one of the world’s great antiwar books. Centering on the infamous firebombing of Dresden, Billy Pilgrim’s odyssey through time reflects the mythic journey of our own fractured lives as we search for meaning in what we fear most. Christine's review: Billy Pilgrim was not made for war. Later in life, as he sits down to write his experiences in a book, the reader follows his life before, during, and after the bombing of Dresden in World War II. Not in that order due to the fluid nature of time! I read this book many, many years ago. When I picked it up to read again, what I remembered most was that Billy had been abducted by aliens and they displayed him in a zoo. That is just a very small part of this story. This time around, it was the horror and devastation of war that struck me, and left me feeling heavy and depressed. The grisly details and horrible reality of what it was like; the sights, smells, and sounds. The repetitive imagery of the frozen ivory and blue feet. Billy was already broken by the time he was sent overseas to fight, but the war shattered him further. He was truly a tragic character. There is a bit about aliens and living in a zoo, and the fourth dimension of time. It's weird and zany, but the novel carries a great weight which makes it truly one of the greatest novels I've ever read. 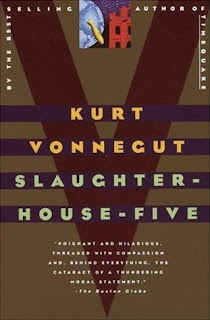 The Kurt Vonnegut Library is celebrating by working with the publisher to get a new 50th anniversary cover for the book. Check out the article here. Writers are often asked where do they get their inspiration. The answer a lot of us give is either "I don't know" or "Everywhere." Vague, I know. We don't mean to be, but sometimes it's hard to nail down the moment inspiration strikes and a character steps forward to begin a story. 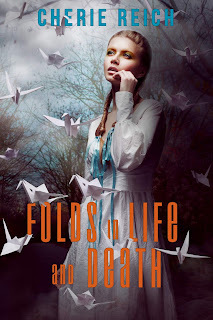 I recently have been working on a four-story collection to publish this year titled Folds in Life and Death. The stories take place in an alternate history where some people have the ability to bring origami to life (i.e. paper magics). The unique thing about these stories is I know what inspired them, and I have four anthology calls to thank for the creative spark. Though I always wanted to write something involving paper magics, I didn't necessarily have a story in mind. 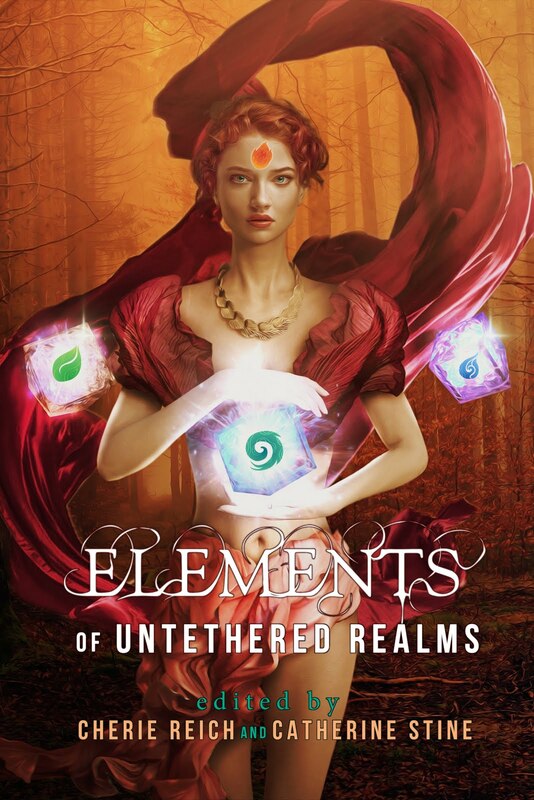 We Untethered Realms' people were using the original four elements (earth, air, fire, and water) to create anthologies. The first anthology, Twisted Earths, had been released, and I was considering what to write for Mayhem in the Air. All I knew is I wanted it to involve paper magics. I saw a piece of paper floating in the air. Then, Mayor Alfred Merry stepped out from the shadows. The mayor hated paper magics and wanted to ban them, not because Paperists (paper magic practitioners) could be dangerous, but because his wife, a Paperist, had cheated on him with a man Alfred had trusted. His wife had not only abandoned Alfred, but also their little girl who eventually passed away from cancer. 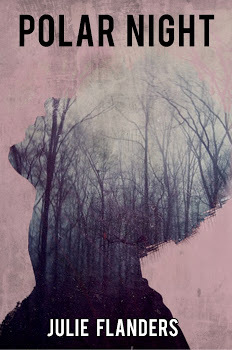 Alfred promised his daughter only her mother would release her soul to the sky, which is the key task for Paperists. This story also brought up a deadly sect of Paperists known as the Ritualists. Alfred created the Futurists, those against paper magics. The players in this new world were set in "Paper Lanterns." 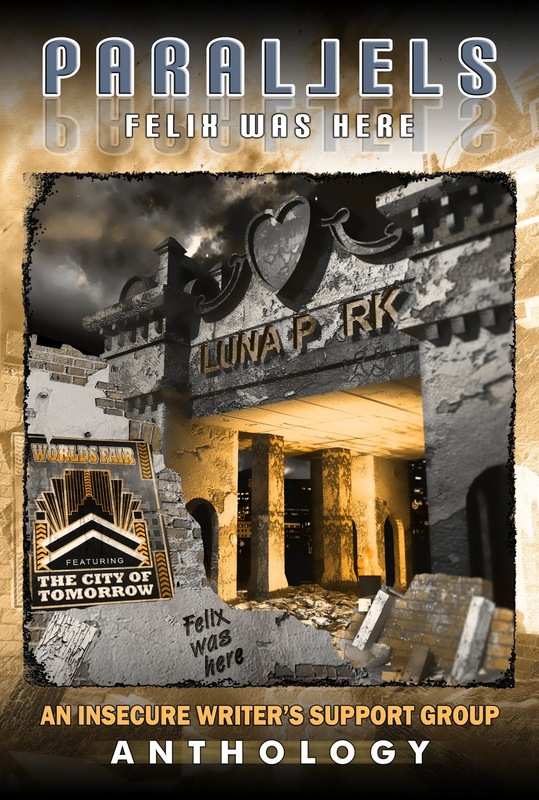 In 2015, the Insecure Writer's Support Group (IWSG) put out a request for alternate history/parallel universe stories, which was titled Parallels: Felix Was Here. I knew I wanted to revisit my paper magics' world, but what story to write? I thought about our history, and I remembered something I read as a child about the Curse of Tippecanoe, which stated every President elected in a "---0" year would die. In our universe, Reagan survived the curse, but in my paper magics' world, he wasn't so lucky. So what would that mean for the President elected in 2000? Allyson Moore, a Paperist and the President's sister, is just about to find out in "Folds in Life and Death." 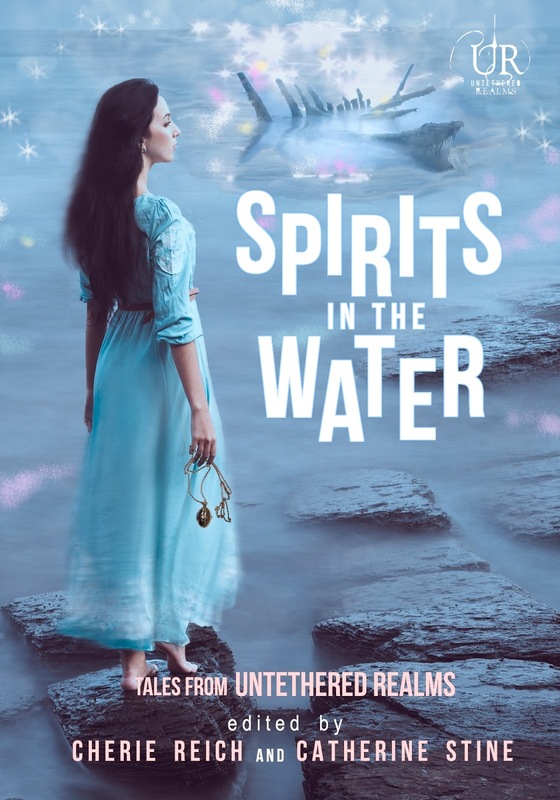 I wrote "Folds in Life and Death" for the IWSG anthology, but if it hadn't been selected, I was going to use it for UR's Spirits in the Water. 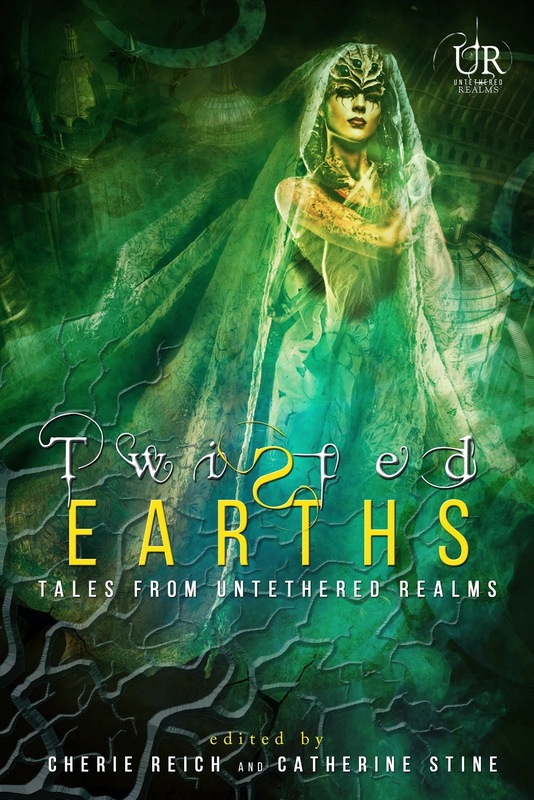 So I still had a new story idea to discover for our fourth Elements of Untethered Realms' anthologies. I wanted to revisit the paper magics' world. In "Paper Lanterns," I wrote from the point of view of a Futurist. From "Folds in Life and Death," Allyson is a Paperist. Now, I wanted to write from the point of view from a budding Ritualist. What would inspire a person to join what most of the world thinks of as a terrorist organization? Aimee Washington helped me understand in "The Folding Point." Last year, IWSG had a call for YA Romance with a masquerade theme. 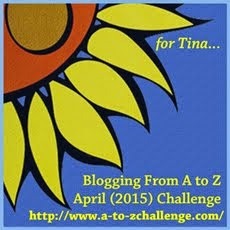 I wanted to write from the point of view of an autistic, like me. Willow bloomed before me, but I unfortunately didn't complete her story in time for the anthology. I wasn't willing to give up on her, so I inserted her into my paper magics' world. She is a regular ol' human who hasn't yet taken sides when it comes to Futurists, Paperists, and Ritualists. She's just a girl in love with her best male friend. A girl who obsesses over theater and history and admires the paper magics' her love interest can create. Willow's story is "Paper Faces," and it rounds out the collection Folds in Life and Death. If you're a writer, where has inspiration led you? Readers, I hope you enjoyed getting a glimpse behind the scenes. Blurb: Duncan Oliver was in every respect an unremarkable gentleman. When mild-mannered Duncan Oliver is abducted by the Milne brothers and taken to their legendary home of Faebourne, his unexciting life becomes much more interesting. Adelia Milne has been cursed, and Duncan is her chosen champion to break the spell. Duncan may not be a hero, but he is a gentleman, and he refuses to leave a lady in distress. He becomes determined to take on the quest on Miss Milne's behalf. Meanwhile, an unlikely rescue team forms in the pairing of Duncan's best friend George and valet Davies. As they set out for Faebourne--and also perchance to learn more about Davies' obscured family history--what begins as an unequal partnership quickly blooms into friendship... and possibly something more. My review: Duncan Oliver's sedate life is turned on its head when he's kidnapped by two odd men he's just met at the local club. 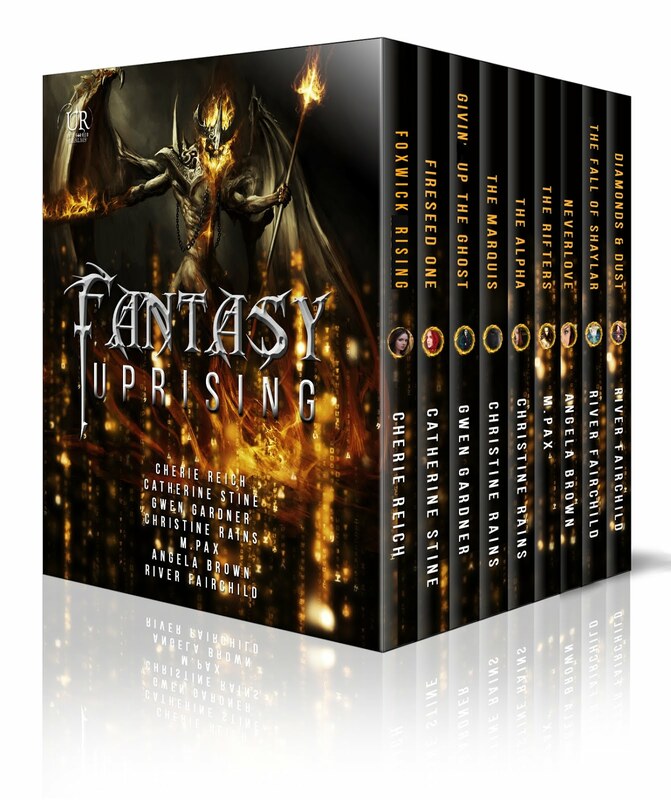 They bring them to their mysterious manor Faebourne to help remove a curse from their sister, Adelia Milne. A task which Duncan is unsure he's up to. Yet his trusted valet, Davies is quick on the case to find his employer. Duncan's best friend George accompanies him on the journey, hoping for some excitement. The two men find so much more. 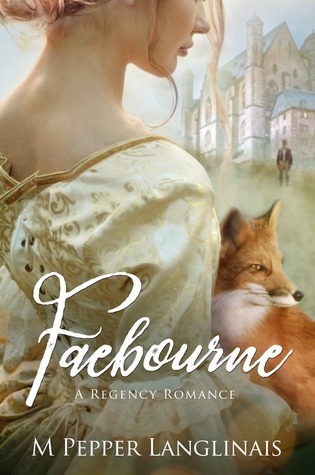 This is not what I expected from a Regency Romance, but in the most wonderful of ways. The writing is light and crisp, true to its genre, but coming to the beautiful Faebourne we have a whole different type of story. It is like a fairy tale of old with its curses and quests. Grass slippers and a song who is many songs. Plus Adelia's fox familiar Aloysius who is quirky and clever and makes me want my own! The Milnes are odd themselves and often had me smiling. 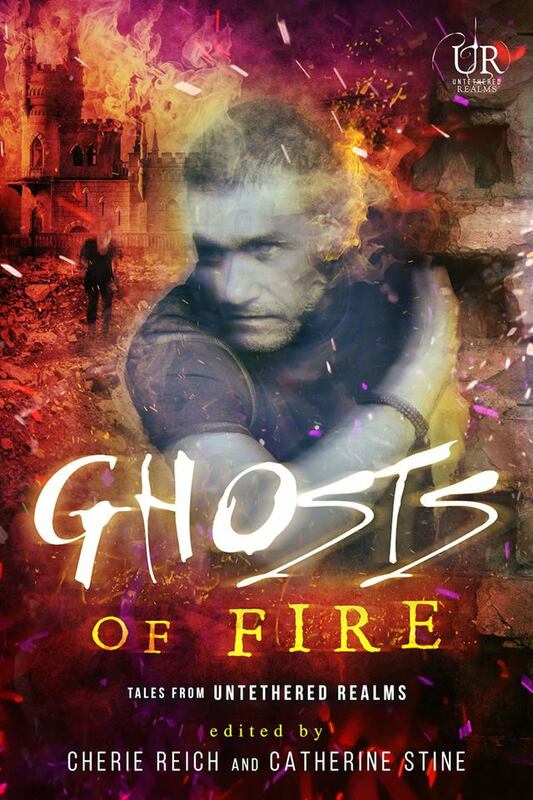 While I thoroughly enjoyed that aspect of the book, it is the cast of characters that shine. Duncan is the polite and boring everyday man who must stretch himself to try to become a hero. Davies wrestles with his newfound lineage and his attraction to George. While George himself is surprised by what he finds in himself traveling with Davies and what he wants in life. I'd love to read much more from the author and this of this type of Regency Romance. Well done!